It’s official! SD Interactive and Ninthlink Inc., two of San Diego’s oldest and most experienced San Diego Interactive firms, have merged. The company will continue to operate under Ninthlink Inc, and will remain headquartered in our Metro San Diego office on Front Street. The union of our two companies, which have worked side-by-side for more than 5 years, ultimately gives us a more powerful marketing presence and the ability to offer existing clients a fuller array of online marketing services and programs. SD Interactive was formed in 2005 by Ron Weber who took leadership in search engine marketing, search engine optimization and social media marketing services. Clients include Bill Howe of San Diego, Soccer Fanatic, and many small- and medium-sized businesses in both San Diego and across the country. 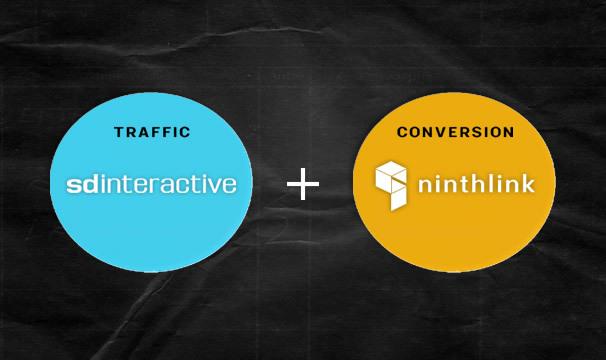 Ninthlink is now servicing many of SD Interactive’s clients as our own. One of the biggest factors in the success of our merger is each company’s commitment to delivering the highest quality work and service to our clients- so there is no disconnect from one firm to the other. We’re excited to welcome our new clients and are happy to offer additional services and products to enhance the success of their businesses. Next PostPlumbing Needs? Get Out Your Smartphone!